Melissa is making an impact in this very striking combination! 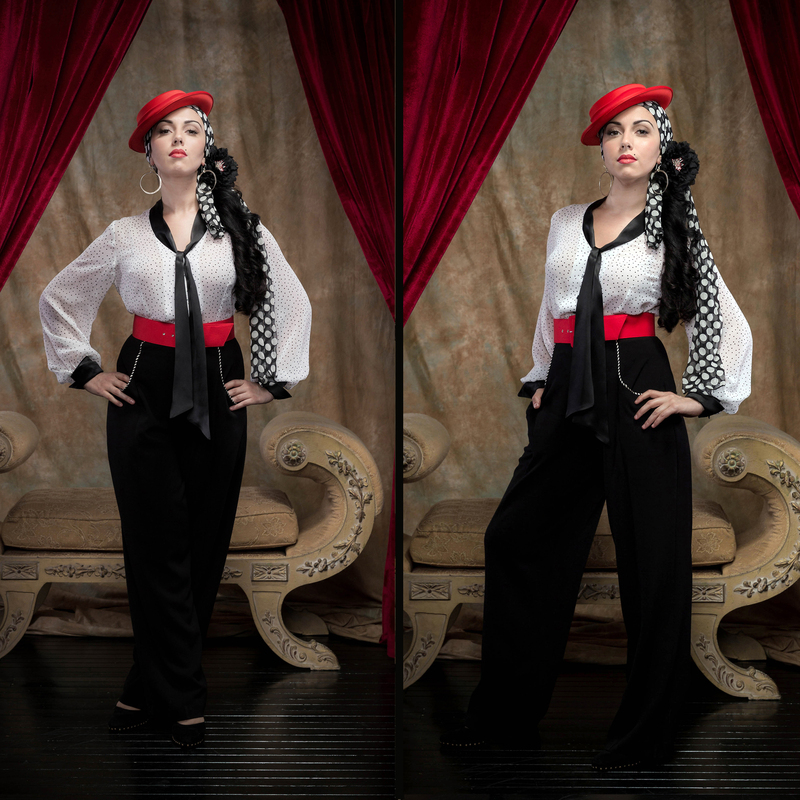 She is wearing the Esperanza Silk Blouse in POLKA DOT/blk, the Amaya High Waisted Pants in BLACK/stripe, a wide belt and silk polka dot scarf. The Esperanza Silk Blouse in POLKA DOT is a real statement piece. The black silk satin ties can hang down or be tied into a bow. There were only 2 blouses made in this silk combinaiton. Now that’s exclusive! !